A HUD home is nothing more than a house that was purchased with an FHA loan that has since fallen into foreclosure. You may make an online offer during the offer period. At the end of the offer period, all offers are opened and considered to be received simultaneously. The highest acceptable net bid is then accepted, and the buyer’s agent is contacted. If the home isn’t sold in the initial offer period, buyers may submit a bid any day of the week, including weekends and holidays. Bids are opened the next day. What you probably don’t know is that if no one makes an offer for a HUD home within a certain amount of time, HUD lowers the price. The price of the HUD home continues to drop until an offer is made and accepted. How do you find out if your bid was accepted? It’s your agent’s responsibility to check the website to see if your bid was accepted and to complete all the necessary paperwork. Companies like PEMCO Ltd. are direct contractors with the government. They list and sell these homes online from HUD. Only agents who are registered with HUD may represent buyers and investors in the purchase of these properties. There used to be a different site for different areas of the country, but it’s been consolidated into one website: www.hudhomestore.com. Find the right real estate agent. Only real estate agents who are registered with HUD may represent home buyers and investors in the purchase of HUD homes online. But just because an agent is registered with HUD doesn’t mean he or she is going to be the best agent to represent you in the purchase of a HUD home. To find the right agent, you can search through the website that lists HUD homes in your area and find out which agents represented the most winning bids. Interview the top two or three agents. Be sure to ask how long the agent has represented buyers and investors, how the process typically works, whether the agent will accompany you to inspect the property, and what special knowledge the agent has garnered from writing so many winning bids. Inspect the property before making an offer. 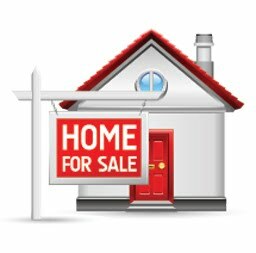 The local listing broker (who should be listed on the HUD home website) can gain access to the property and show it to you. However, you don’t need to call the listing broker to see the house with your agent. Any HUD registered agent can gain access to a HUD home. When you’re inspecting the property, take a lot of notes and photos of the property so you can be mindful of any improvements that need to be made when constructing your offer. Make an offer. The offer process on a HUD home is probably different from what you’re used to. Offers can be cancelled with no earnest money forfeiture. Once an offer is submitted, it can be cancelled before the HUD agent opens the bid electronically, or after by sending an email to the company managing the home. Until the contract is signed, the earnest money is not in jeopardy, so there are a few days after the bid is accepted to cancel. Be ready to close on your HUD home. Right now you might forty-five to sixty days to close on your HUD home, but HUD is moving toward 30-day contracts so get your financing together ahead of time. You may be able to qualify for FHA financing or special FHA deals, like the $100 Down Payment Incentive program or the Good Neighbor Next Door program, which offers a discount for HUD homes to law enforcement officers, teachers, firefighters, and emergency medical technicians who meet eligibility requirements. But it helps if you get your loan documentation together ahead of time, including your W-2; your paycheck stubs; your tax returns; copies of your savings, investment, and retirement accounts; and documentation of other assets and liabilities. You’ll need to provide copies of your driver’s license and other identifying information. Create a file for these documents so they’re ready when you are. You will also have to submit a prequalification letter with the sales contract in order for it to be accepted. The letter must indicate the buyer is qualified for the amount of the contract, the type of financing and any assets that have been verified for closing. Ilyce R. Glink is the author of several books, including 100 Questions Every First-Time Home Buyer Should Ask and Buy, Close, Move In!. She blogs about money and real estate at ThinkGlink.com and at the Home Equity blog for CBS MoneyWatch.